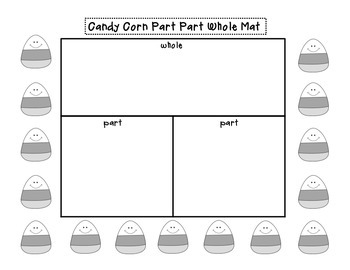 Two cute candy corn themed Part Part Whole mats for practicing addition, subtraction, and missing number problems. Both options are available in color and grayscale. 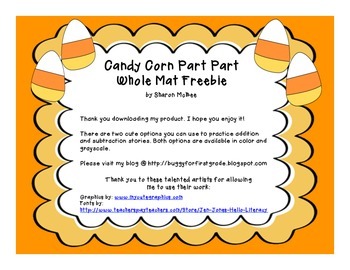 Hope you enjoy and thank you for downloading my product. 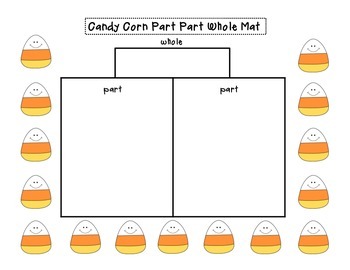 Feedback and a visit to my blog would be greatly appreciated!